Since WildFly 14 mod_cluster subsystem supports multiple named proxy configurations also allowing for registering non-default Undertow servers with the reverse proxies. 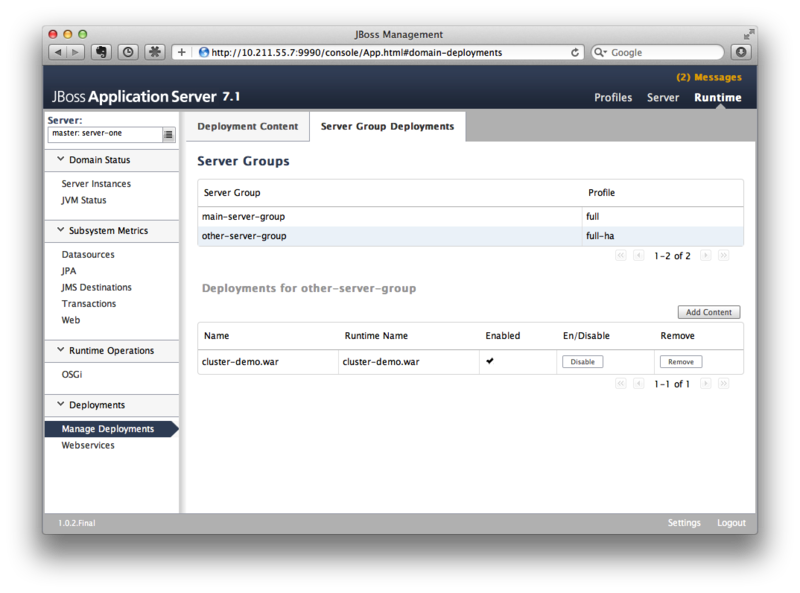 Moreover, this allows single application server node to register with different groups of proxy servers. See the following example which adds another Undertow AJP listener, server and a host and adds a new mod_cluster configuration which registers this host using advertise mechanism. This zero-dependency API allows an application to perform basic clustering tasks, while remaining decoupled from the libraries that implement WildFly’s clustering logic. View the current membership of a group. Identifies a designated coordinator for a given group membership. This designated coordinator will be the same on every node for a given membership. Traditionally, the oldest member of the cluster is chosen as the coordinator. Registration facility for notifications of changes to group membership. WildFly creates a Group instance for every defined channel defined in the JGroups subsystem, as well as a local implementation. The local Group implementation is effectively a singleton membership containing only the current node. e.g. This is useful when using a Group within the context of an Infinispan cache. The distinct logical name of this group member. This value inherently defaults to the hostname of the machine, and can be overridden via the "jboss.node.name" system property. You must override this value if you run multiple servers on the same host. The distinct bind address/port used by this group member. 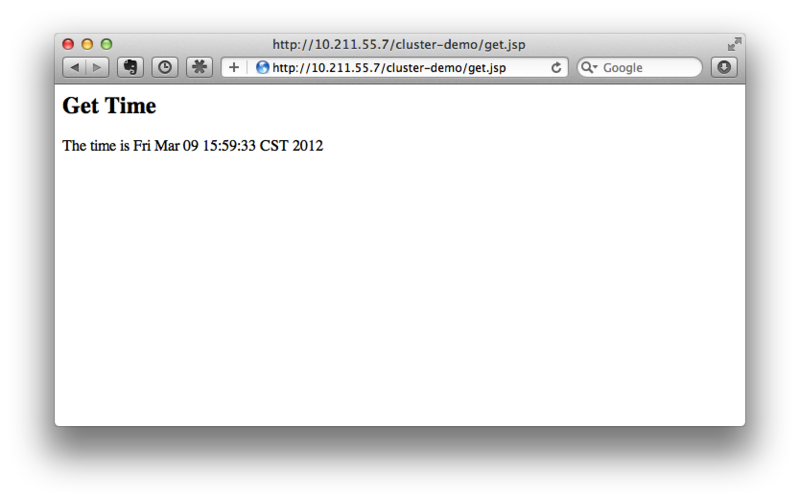 This will be null if the group is non-clustered. Returns the list of members comprising this group membership. The order of this list will be consistent on all nodes in the cluster. Indicates whether the current member is the coordinator of the group. Returns the member designated as coordinator of this group. This methods will return a consistent value for all nodes in the cluster. The logical name of this group. The Node instance corresponding to the local member. Returns the current membership of this group. Registers the specific listener to be notified of changes to group membership. Indicates whether the groups membership is non-clustered, i.e. will only ever contain a single member. 2 Make sure to close your listener registration! A command dispatcher is a mechanism for dispatching commands to be executed on members of a group. A command dispatcher is created from a CommandDispatcherFactory, an instance of which is created for every defined channel defined in the JGroups subsystem, as well as a local implementation. e.g. This is useful in the case where a CommandDispatcher is used to communicate with members on which a given cache is deployed. These are member variables of the Command implementation itself, and are provided during construction of the Command object. As properties of a serializable object, these must also be serializable. These are encapsulated in a single object, supplied during construction of the CommandDispatcher. The command dispatcher passes the local context as a parameter to the Command.execute(…​) method. The CommandDispatcherFactory creates a CommandDispatcher using a service identifier and a local context. This service identifier is used to segregate commands from multiple command dispatchers. A CommandDispatcher will only receive commands dispatched by a CommandDispatcher with the same service identifier. Once created, a CommandDispatcher will locally execute any received commands until it is closed. Once closed, a CommandDispatcher is no longer allowed to dispatch commands. Executes a given command on a specific group member. Both methods return responses as a CompletionStage, allowing for asynchronous processing of responses as they complete. 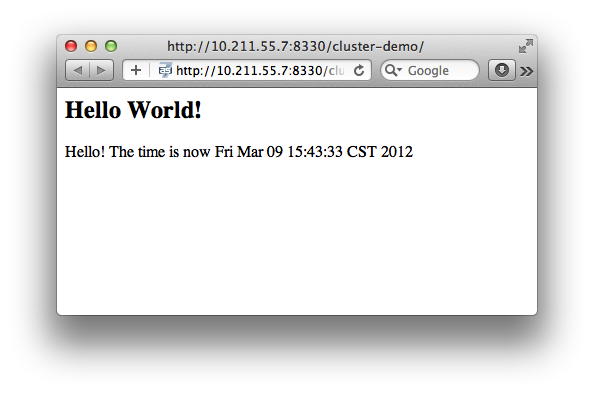 To demonstrate how to use a CommandDispatcher, let’s create a distributed "hello world" application. Next we create a "hello world" Command that contains a message from the sender, and responds with a message of its own. 2 Don’t forget to close your CommandDispatcher! 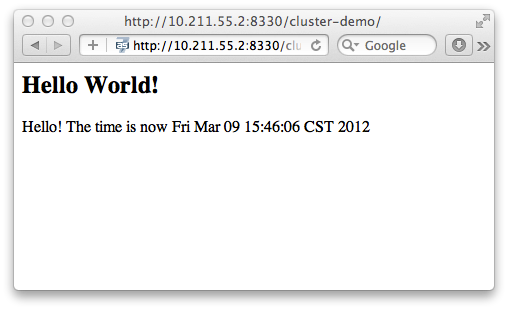 Now you can use the HelloWorld.send(…​) operation to say hello to your cluster. A service provider registry is a specialized cache that tracks the group members that provide a given service. 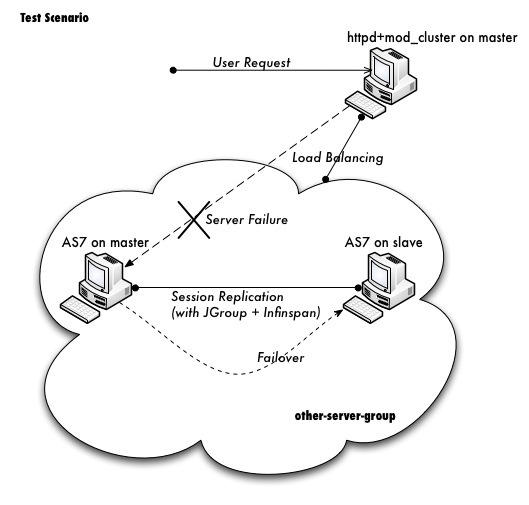 The ServiceProviderRegistry might be used in concert with a CommandDispatcher to communicate between a subset of group members on which a given service is installed. 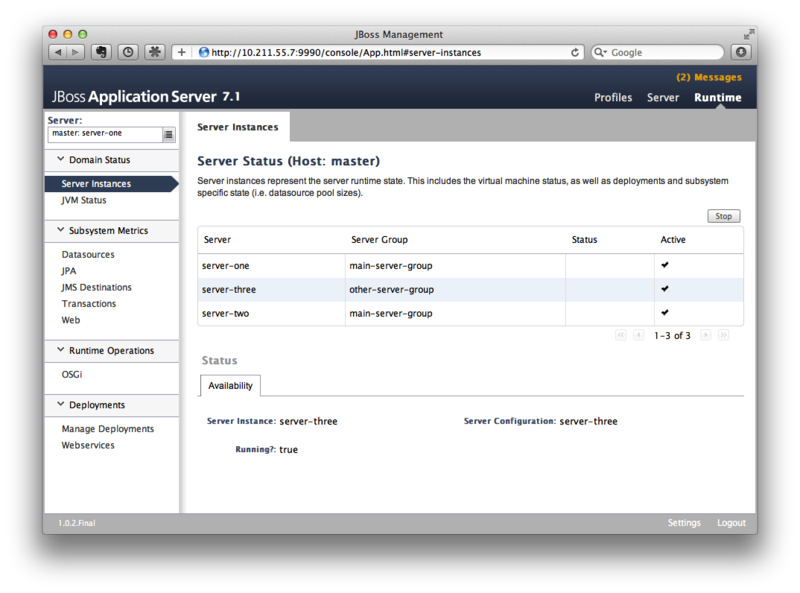 It includes a registration facility to receive notifications when the set of nodes providing a given service changes. WildFly uses this internally in its Singleton service/deployment implementation to drive the primary election process. WildFly exposes a ServiceProviderRegistry (from which a ServiceProviderRegistration is created) for each cache defined by the Infinispan subsystem. The following is an example of using a ServiceProviderRegistry to publish the availability of a given singleton EJB. The getProviders() method will return the set of nodes on which the ServiceProviderRegistrationBean is deployed. 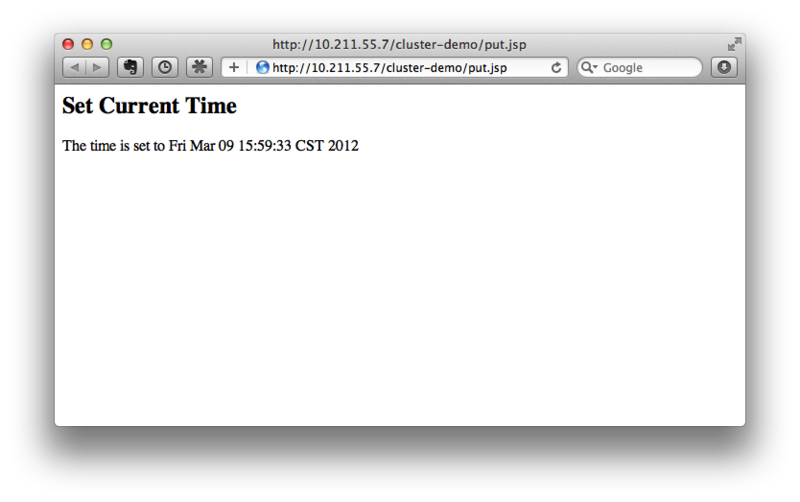 1 Uses the default cache of the "server" cache container. 2 Remember to close the registration! A registry is a specialized cache for storing a unique key/value pair for each member of a group. This is useful to bridge WildFly’s Group members to an internal identification system used by an application. The Registry service includes a facility for notifying group members of new, updated, or obsolete registry entries. WildFly exposes a RegistryFactory (from which a Registry is created) for each cache defined by the Infinispan subsystem. 2 Remember to close the registry! The singleton service facility exposes a mechanism for installing an MSC service such that the service only starts on a single member of a cluster at a time. If the member providing the singleton service is shutdown or crashes, the facility automatically elects a new primary provider and starts the service on that node. In general, a singleton election happens in response to any change of membership, where the membership is defined as the set of cluster nodes on which the given service was installed. The singleton subsystem exposes capabilities for each singleton policy it defines. You can reference the default singleton policy of the server via the name: "org.wildfly.clustering.singleton.default-policy" e.g. Alternatively, you can configure a singleton policy dynamically, which is particularly useful if you want to use a custom singleton election policy. org.wildfly.clustering.singleton.service.SingletonPolicy is a generalization of the org.wildfly.clustering.singleton.service.SingletonServiceConfiguratorFactory interface, which includes support for specifying an election policy and, optionally, a quorum.